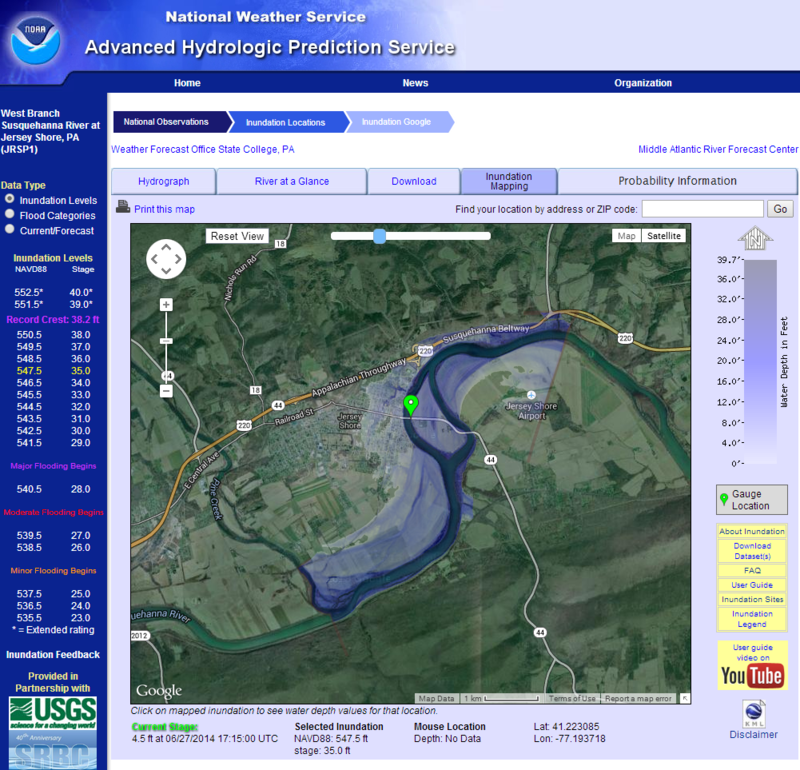 What is Flood Inundation Mapping? 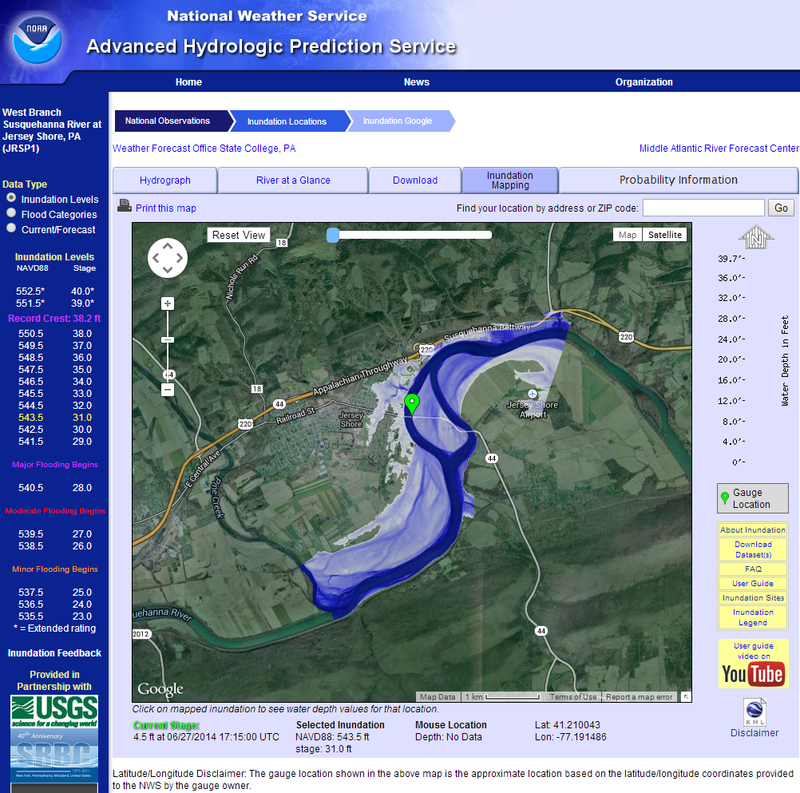 The National Weather Service Inundation Mapping Interface is a web based tool that is integrated into the AHPS web suite and provides flood inundation maps that show the extent of flooding expected spatially over a given area. 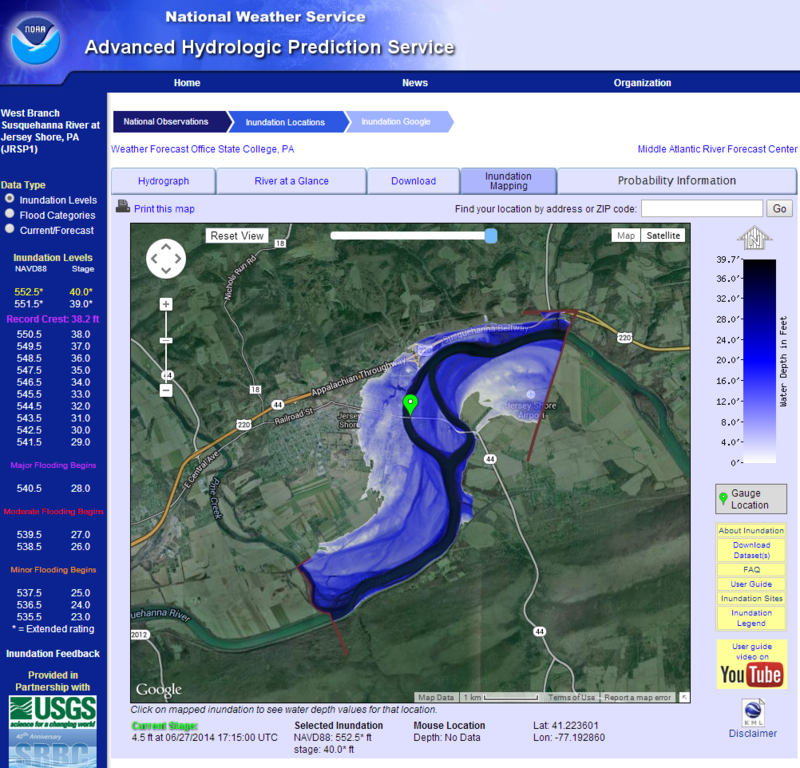 This is a geographic information system (GIS) project that ONS developed for the National Weather Service Office of Hydrologic Development in conjunction with the Office of Climate Water and Weather Services, US Army Corps of Engineers and US Geological Survey. ONS has developed 94 sites to date with additional sites planned to be completed in the next few years since becoming a national level project. What is Orion Network Solution's Contribution? 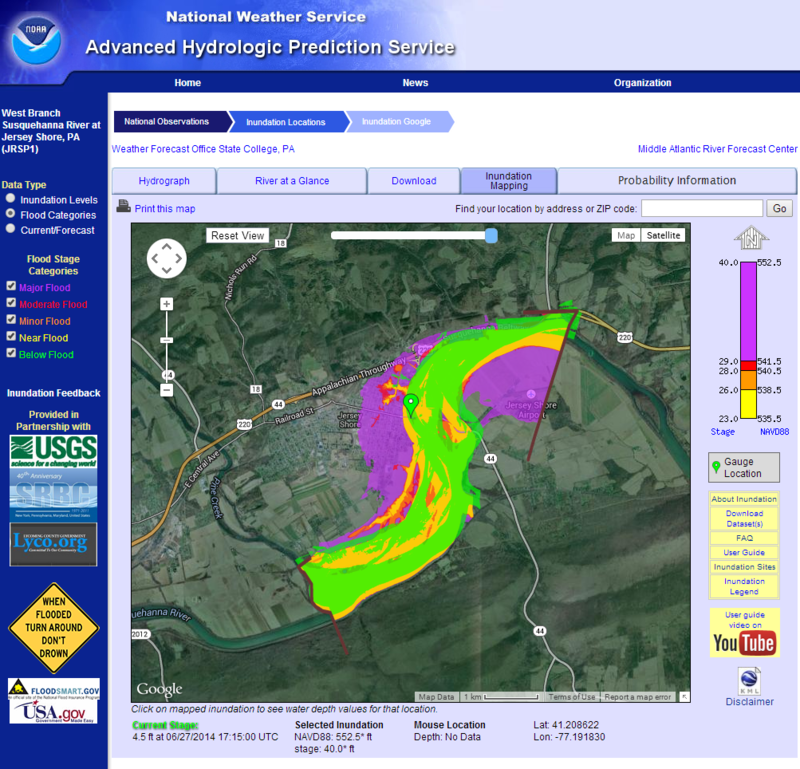 Developed process to convert raster depth grids to colorized PNG images which correlate flood water depth to potential flood risk areas. 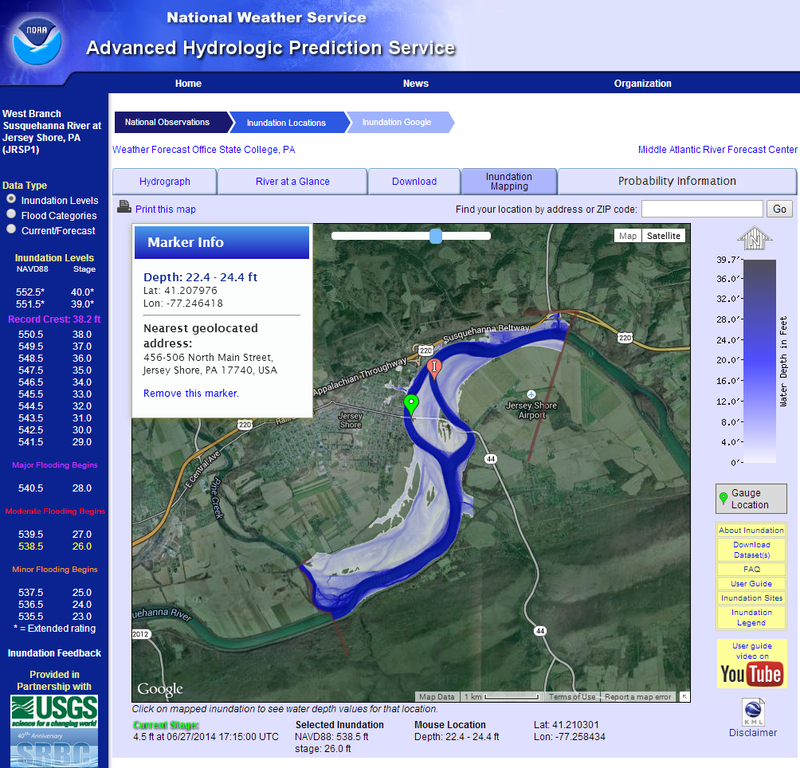 Created dynamic and interactive user interface using Google Maps for users to view potential flood progression. Added mouse-over depth display for data accuracy. 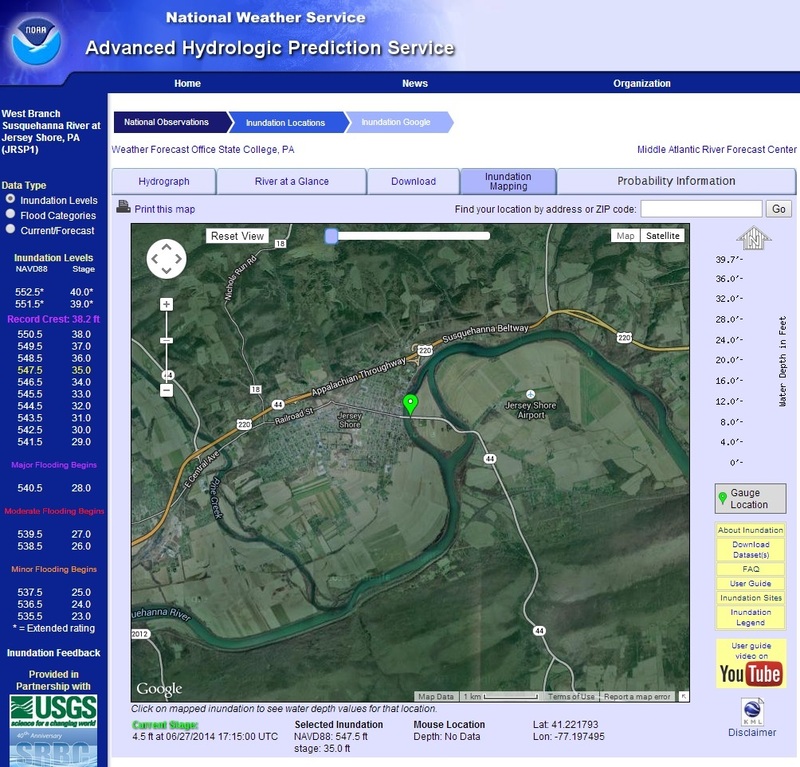 Incorporated geolocation services to aid in emergency management decision support.